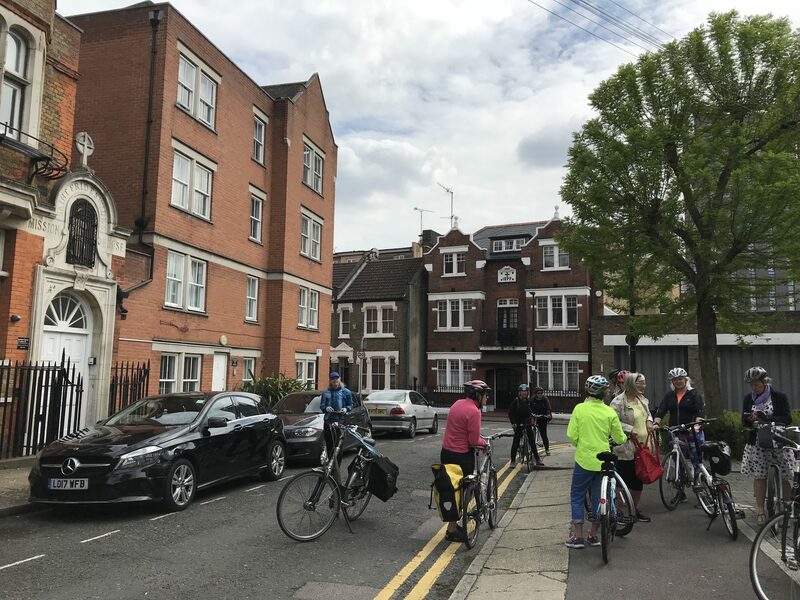 Jonathan’s report from the ride – to be discussed at tonight’s meeting. These two documents have been produced by LCC HQ as a guide for what we are trying to achieve for the local elections in May and why. 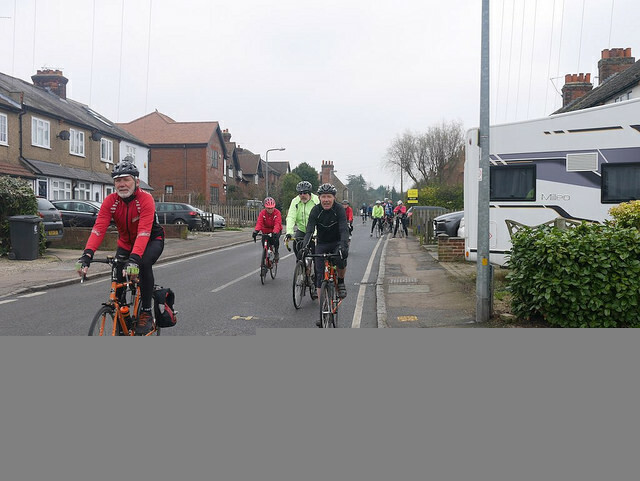 Following on from our borough insert feature, Anita tells us what cycling means to her. I have been cycling since I was seven, using my bike to get to school both at primary and secondary. 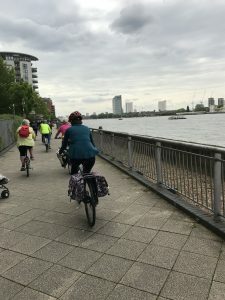 I have been a London cyclist off and on for the last 25 years. When my son Merlin was born I was keen to be able to cycle with him as soon as possible. He was on the back of the bike in a child seat as a baby and used to love the cycle rides for sleeping. He started with a balance bike and has been on his own bike since he was 4, sometimes with a tow bar in the early days and now cycles to secondary school as well as weekend and evening rides with me. It is important to me that he is a confident cyclist and feels safe as well as being active and in the outdoors. 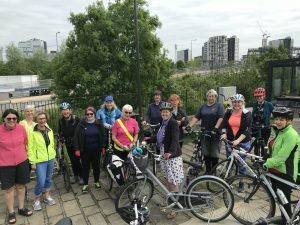 We have been on cycling expeditions up the Lee Valley and to Debden House for camping on our own and with Newham Woodcraft Folk. When I took on my current job it involved a lot of changes and one of those was committing to becoming a daily cyclist as it was the only way I could fit everything in with both work and childcare and also saved me the cost of the annual travel card I used to need before. 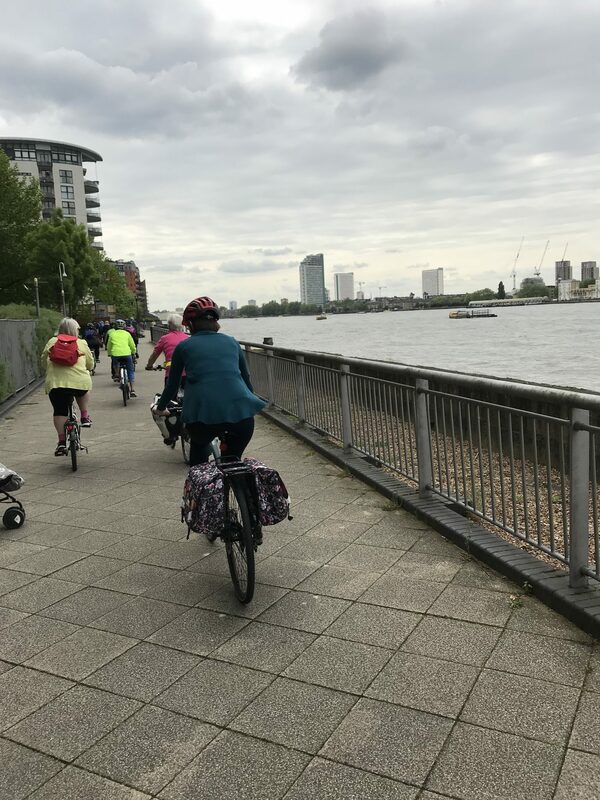 I work as a Baby Feeding Specialist for Barts Health in Tower Hamlets, cycling for work involves more than just commuting as I am not only cycling to work but around during the day to visit clients, move between work places, attend meetings and trainings. Cycling is the most efficient way to get around, when I work with students who are not cyclists I usually give them a 15 minute head start on public transport and usually still arrive ahead of them. I use the Cycle Super Highways but also the canal and riverside paths. I cycle in all weathers. Wearing specialist cycling clothing and shoes isn’t really an option as I can’t change easily every time I visit clients in their own homes so I have had to come up with a work wardrobe for cycling which can take me from my bike to a hospital ward, meeting or client’s home. I’m not cycling fast aiming to get a best time on the commute but aiming to arrive in good time without breaking out in a sweat! Knee length skirts and dresses that are not too wide nor too narrow are great as they keep clear of the chain and wheels and dry quickly if caught in the rain! Long leather boots are good in winter and can be wiped down after a muddy cycle along Limehouse Cut! 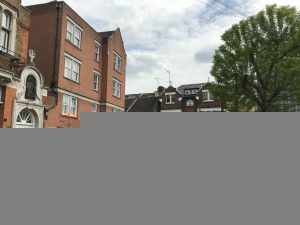 I am a keen Geocacher (www.geocaching.com) and go out on cycle rides after work seeking out hidden containers around London or attending events. This has taken me further afield by bike than ever before and using google maps to find cycling routes to geocaches has expanded my cycling knowledge, fitness and confidence in London taking me on routes I never knew about. I also combine train and bike for longer journeys. I am now trained as a Ride Marshal and Ride Leader with London Cycling Campaign and hope to be able to encourage more women to gain confidence in cycling. 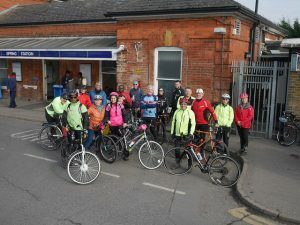 We had asked riders to book into this ride as it has been very popular in the past. However, several booking were either cancelled or were simply ‘no shows and we numbered just 9 riders, including two who had not booked. This was however a good number for the ride as we had two marshals, Ken and Robin, and were able maintain a tight group for the ride. 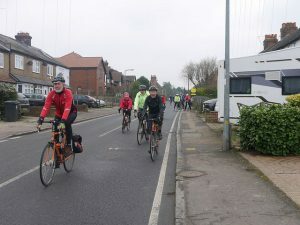 The weather was cool by dry and despite some traffic around Blackhorse Road and Hackney Central we were able to make good use of the Waltham Forest cycling infrastructure, the river Lea towpath and the Hackney Parks. We managed three stops, namely, Wild Card, People’s tavern (Laines) and Truman’s, taking the traditional route in reverse. We had planned to stop at Redchurch, but the shutters were down and there was no sign of life. 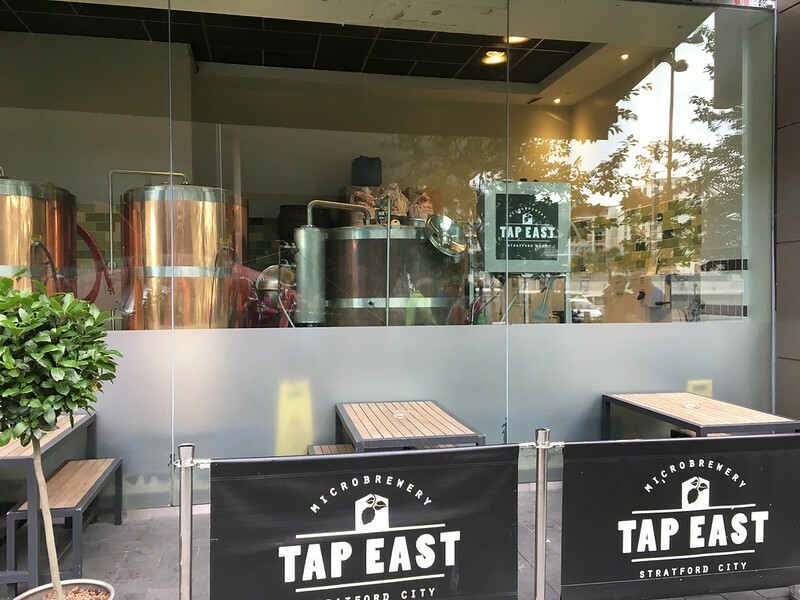 Other notable changes, Pressure Drop are moving from their current location in Hackney Central, to the same industrial estate as Beavertown currently occupies. Forest Road had a lively taproom, worth a stop on a future ride. Three Sods and the Bethnal Green Working Man’s Club were also not open. Click on the photo below to be taken to Robin’s pictures of the day – & the link to see the ‘live’ route. Thank you Robin! 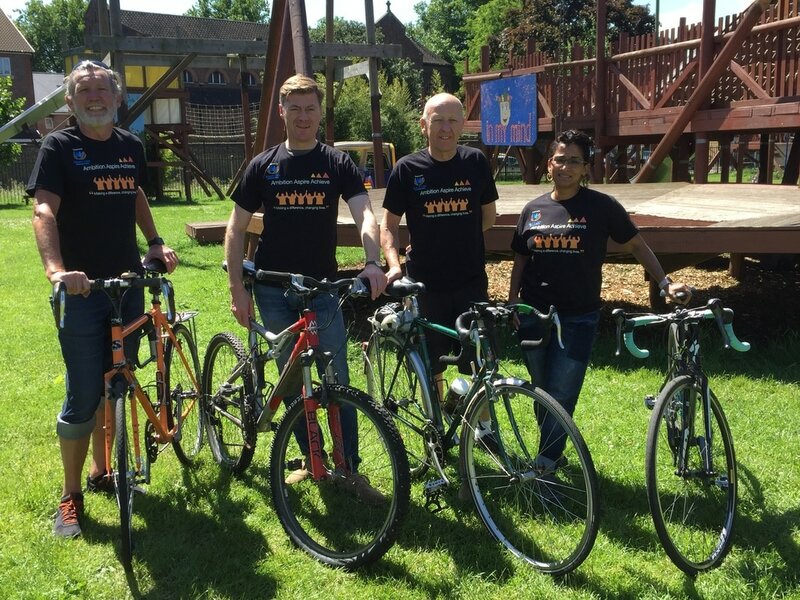 As some of you know, our ride leader Steve is riding the RideLondon 100 this year for AAA. Please sponsor him if you can. We are building a relationship with AAA, supporting their weekend cycle club, so this is a cause that we are very happy to promote! I’m am riding 100 miles for a very worthy local cause; to help young people in need and promote cycling. Can you help us raise money for the Ambition, Aspire, Achieve Cycling Hub for disadvantaged and disabled children and young people?